The Faculty of Medicine is one of the founding faculties of CUCMS. The MBBS programme is a 5-year, fully accredited programme recognised by the Malaysian Medical Council, culminating in the award of the Bachelor of Medicine & Bachelor of Surgery (MBBS) degree. The programme started with 71 registered medical students in December 2005 and has since successfully produced eight batches of medical graduates who are currently serving all over Malaysia. In line with the University motto of “Nurturing the Passion to Care”, the teaching and learning activities embraces and integrates the three domains of learning; cognitive, affective and psychomotor. The integration of these essential domains in the curriculum – along with Godliness – in the life of students helps shape a balanced education system in producing healthcare professionals who are intellectual, emotionally and spiritually balanced This is achieved through the revolutionised teaching and learning activities of student centred outcome-based education. Technology is incorporated to enhance participative learning environments that actively engage the current Y and Z generation in the acquisition of new knowledge. The faculty also offers postgraduate programmes to encourage lifelong learning opportunities. Both Masters in Medical Sciences (MMedSc) (By Research) and PhD in Medical Sciences (PhDMedSc) (By Research) programmes are offered in collaboration with the Centre for Graduate Studies. Masters in Public Health, Masters in Healthcare Management, and short courses in healthcare-related subjects will also be offered In the near future, in collaboration with other reputable tertiary institutions. Major General Professor Dato’ Dr Mohd Zin Bidin was commissioned by His Majesty the Yang Dipertuan Agong as a Captain in the Royal Medical and Dental Corps on 11 November 1983. During his illustrious career, he has held various clinical, operational, academic and leadership positions and was decorated with several National and International awards. He joined Cyberjaya University College of Medical Sciences on 2nd January 2018 as a Professor and Dean. 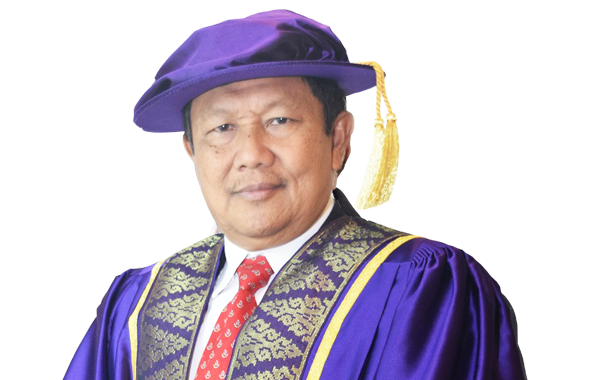 Prior to that he was the founding Dean of the Faculty of Medicine, National Defense University of Malaysia and former Vice Chancellor of Widad University College (formerly known as University College Shahputra). Dr Zin graduated from Universiti Kebangsaan Malaysia and attained post graduate qualifications in Aerospace Medicine, Public Health Medicine, Tropical Medicine, Travel Health, Sports Medicine and Occupational Health. He is the National Chief Medical Officer of the Malaysian Formula One Grand Prix and also holds the Chief Medical Officer Superlicence of the Federation Internationale de Motocyclisme (FIM). Dr Zin was the Founding Chairman of the National Sports Institute, a member of the Scientific Council of the International Committee of Military Medicine and a member of the International Advisory Committee of the Journal of Military and Veterans Health Australia. He is also a member of the Fellowship Awards Committee of the Malaysian Public Health Physician Association and Founding Head of Committee of the International Network of UNESCO Chair in Bioethics Malaysia. Dr Zin brings with him extensive operational, academic and leadership experience to drive the Faculty to a greater height.